The Native American Institute of the Hudson River Valley and The New York State Museum are hosting the 12th Mohican/Algonquian Peoples Seminar at the NYS Museum in Albany this Saturday, September 15, 2012. A complete list of topics related to Northeastern Native American culture from prehistory to present is included below, along with the days itinerary. JoAnn Schedler, BSN, MSM, RN and a Major, US Army Nurse Corps Reserves (Retired). She served over twenty years with the 452 Combat Support Hospitals (CSH) of Wisconsin. She is a life member of the Mohican Veterans and Reserve Officers Association and a member of the American Legion in Gresham, WI. In 1985 to present she serves as a founding board member for Indian Summer Festival. She serves on the Stockbridge-Munsee Community Tribal Historic Preservation Committee and the Constitution Committee and is a Peacemaker for the Stockbridge-Munsee Tribal Court. She was the first Nursing Instructor for the Associate Degree Program at the College of the Menominee Nation 2008/ 2009 and is a member of Sigma Theta Tau International Honor Society of Nurses since 1992.This continues a presentation given last year on this subject. Mohican Diet and Disease in Pre-contact America. Henry Hudson in the early 17th century. From these sources as well as current-day research, it is possible to capture the essence of Mohican daily life before the arrival of Europeans. Judith Hartley grew up on the Stockbridge-Munsee/Band of the Mohicans reservation in northern Wisconsin. Her mother was a Mohican who was active in tribal governance&#8212-serving for years as the elected tribal treasurer. Judith left the reservation upon high school graduation to attend college. She has a B.S. degree in biology and worked for years in pharmaceutical research. Currently she has obtained an MBA and has worked for the past 22 years for Roche Diagnostics Corporation, a global pharmaceutical and health care company. As retirement approaches, Judith endeavors to give something back to the tribe by way of historical research, poetry and speeches concerning her people. John M. Smith is an independent historian and contributing author to New York State Museum bulletins, the Hudson River Valley Review, and co-editor with Dutch Historian and translator Kees Waterman in the forth coming book Munsee Indian Trade in Ulster County, New York, 1711-1732. This paper provides an introduction to the work of Hendrick Aupaumut, an eighteenth-century Mohican diplomat. A sachem who fought on the American side of the Revolutionary War, Captain Aupaumut was tapped by President Washington to serve as a diplomat to the British-allied Miami and Shawnee leaders who fought against white settlers. Aupaumut’s 1792 manuscript, a record written for U.S. governmental officials, was printed in the 1827 Memoirs of the Historical Society of Pennsylvania. This talk muses over Aupaumut’s “errors” in spelling and grammar, including one interesting clause: “these white people was” (sic). One might be tempted to assume, like his original interlocuters, that Aupaumut, as a Native American who had yet to master the English language, constructed a sentence with flawed subject-verb agreement. However, unlike U.S. officials who wrote that the manuscript contained many “incorrectnesses” (sic), Chiles argues that Aupaumut’s peculiar locution astutely explored the most contemplated concerns of early America: could the many former white British subjects ever become one people? What would the process of becoming “E Pluribus Unum” actually look like? Could people be both singular (denoted by the number of the verb was) and plural (denoted by the number of the demonstrative adjective these), and, most importantly for Aupaumut, how would all this effect how white settlers would interact with both his own and other Native American tribes? Furthermore, by comparing Aupaumut’s manuscript with the Society’s Memoirs, this presentation illustrates how editorial practices used by Aupaumut’s publishers conditioned the “original” text and allows us to consider Aupaumut’s intellectual sovereignty. the Mohican Nation, Stockbridge-Munsee Band. 12:00 -1:30 Lunch on your own. Eating areas are located in the museum should you want to bring your own lunch. There are three restaurants within two blocks of the Museum. Karen Hess is preparing a book about Ariaantje Coeymans whose portrait hangs at the Albany Institute of History & Art where Mrs. Hess is a docent. She has presented her research at a NYS Historical Association conference as well as other historical societies. An essential element of the story of this colonial woman is her family’s intriguing relationship with the Mohican Indians. ed the Algonquin Indian language and was, therefore, able to act as an intermediary between colonists and Native Americans. The sloop Staats purchased to further his commercial interests placed him in contact with leaders in New Amsterdam (New York City) and allowed him to develop a personal relationship with Peter Stuyvesant. Eric Ruijssenaars studied history at Leiden University graduating in 1988. He has written two books about Brussels and the Brontes (published in 2000 and 2003), is co-founder of Brussels Bronte Group in 2005. He started a bureau for historical research in Dutch Archives, in 2002. In 2011/2012 Eric was chosen Senior Scholar in Residence at the New Netherland Research Center in Albany. Hoogeberg, the Staats Family, and the Mohicans. Staats Island (or the Hoogeberg: the “high hill.”) has been in the Staats family since the mid-17th century. The Joachim Staats homestead, dating from 1696, remains a family residence. Many generations of the family are interred here overlooking the beautiful Hudson River. This is where Colonel Philip Staats saved the life of the Mohican, Ben Pie, in the late 1700s. It is no longer an island but remains a place of great history with many stories to tell. William Staats graduated from SUNY Albany with an MS in Education in 1957. Bill grew up at Staats Island near Castleton-on-Hudson, NY in the 1696 Joachim Staats homestead. He taught in 1965-66 at the Royal Melbourne Institute of Technology in Australia and also taught for several years in Hudson High School and for 35 years in the accounting and computer areas at Hudson Valley Community College. In 2009 he authored Three Centuries on the Hudson River. The East Creek cemetery was excavated between 1933 and 1935 on the southeastern shore of Lake Champlain by representatives of the Museum of the American Indian- Heye Foundation. Despite its unfortunate desecration, the site contains rare and remarkable evidence of the elaborate ceremonialism and long distance exchange obtaining during the Early Woodland period (ca. 3,000-2,000 cal yr BP). While the presentation will concentrate on some of the more salient aspects of the site and what it suggests about the Native groups participating in the Early Woodland interaction sphere, mention will also be made of the analogies that one may cautiously advance regarding trade and exchange during the contact era. the Anthropology Department at UVM. Kevin Fuerst, NAI President, long-time board member, and New Lebanon Town Historian will provide a status update on his efforts to preserve the famous curative Lebanon Spring and interpret its Native American associations. 4:00 &#8211 4:15 Closing Remarks and Retreat of the Colors” by Mohican Veterans to conclude the conference. As Associate Editor of The Hudson River Valley Review, published by The Hudson River Valley Institute (HRVI), I get to explore the region that I call home and to share these finds with our readers. While our website allows us to be as expansive as our associates and interns are interested in being, it is the journal that I find most rewarding with its approximately 150 pages per issue that forces us to focus our interests and energies into a concise product every six months. 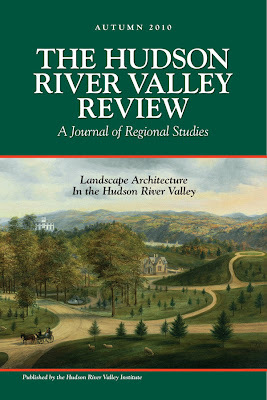 The Hudson River Valley Review is published each spring and autumn, alternating between thematic and open issues. Founded in 1984 at Bard College as The Hudson Valley Regional Review, it almost went out of print in 2001. HRVI negotiated to assume publication in 2002. We changed the name and added a number of features, but it continues in the spirit that it was founded. In addition to a wide variety of topics covered in the open issues, we have produced journals covering the American Revolution, the Civil War, Landscape Architecture, the recent Hudson-Fulton-Champlain Quadricentennial Celebration, and innovation and commerce. We have also worked with guest-editors to produce issues dedicated to the writings of Edith Wharton and John Burroughs as well as to the legacy of Eleanor Roosevelt. While the thematic issues stand well as overviews of certain aspects of the region, it is often more fun to assemble the open issues, comprised of those submitted articles that pass peer review on any variety of topics in a range of disciplines. Our Spring 2006 issue included articles that discussed the seventeenth-century Leislerian Rebellion, the nineteenth-century voyage of a Dutch visitor from Brooklyn to the Catskill Mountain House (including a portion of his translated journal), and the Twentieth-Century creation of Black Rock Forest as an educational preserve. Whenever a new issue is released, we place a PDF of the introduction, History Forums, New and Noteworthy books, and full reviews on our website. We do not post the main articles until the issue goes out of print. You can find a list of the last ten years of back issues online at: http://www.hudsonrivervalley.org/review/back_issues.html. We have an online index of articles going back to 1984 which we update with every new issue that comes out as well: http://www.hudsonrivervalley.org/review/indices.html. 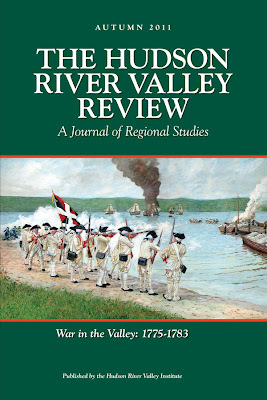 We also received copies of most of The Hudson Valley Regional Review when we took over publication, and have many of those as well as our own back-issues still available. There is a list of out-of-print issues on our subscription page: http://www.hudsonrivervalley.org/review/subscribe.html. He is a specialist in regional studies and is the author of &#8220Cultivating the Greenhouse Complex at Mills Mansion,&#8221 The Hudson Valley Regional Review, March 1999, &#8220A Thoroughly Modern Conundrum: Paul Rudolph’s Orange County Governor Center&#8221 The Hudson River Valley Review Autumn 2004, and “Getting to “The Point-” Design No. 26: The L. M. Hoyt House at Staatsburg,” Dutchess County Historical Society Yearbook, 2009. He is co-editor of America’s First River: The History and Culture of the Hudson River Valley. The Digital Library contains a collection of heritage sites, documents, organizations, lesson plans, and related links to guide you through the Hudson River Valley. Its content and portals are designed to draw people&#8211electronically and physically&#8211from around the world to the Hudson River Valley to experience its scenic, cultural, economic, and historical resources. The Hudson River Valley Institute (HRVI) at Marist College and the Glenn H. Curtiss Museum come to Old Rhinebeck Aerodrome in the Hudson River Valley National Heritage Area to pay tribute to Glenn Curtiss on Saturday, October 9. Old Rhinebeck Aerodrome Air Shows President, Hugh Schoelzel expressed appreciation for the choice of the Aerodrome as a fitting venue and explained the special air show: “Old Rhinebeck Aerodrome’s replica of the 1911 Curtiss “D” Pusher…very similar to Glenn Cutiss’ Albany Flyer… will be on display to greet guests entering the Aerodrome courtyard. At 2 PM, the Pioneer and Barnstorming Air Show will feature the Curtiss “D” Pusher in a taxi demonstration of its unique flight controls, flying exhibitions of an original Curtiss JN-4 H Hisso Jenny built for the Great War in 1918 and a Curtiss Wright Junior CW-1 built by Curtiss as an economical flying machine for recreational pilots in 1931.” The museum and grounds open at 10 AM with four hangars full of antique airplanes and related artifacts to browse through- biplane rides will also be available. Following the air show, the Hudson River Valley Institute is sponsoring a lecture by Trafford Doherty, Executive Director of The Glenn H. Curtiss Museum of Hammondsport, New York. There will also be a special static display and photo opportunities of the Curtiss airplanes. Old Rhinebeck Air Shows, The Glenn H. Curtiss Museum, and the Hudson River Valley Institute have missions related to education and, with the Hudson River Valley National Heritage Area, all four are 501c3 non-profit organizations. Photo: A &#8220Headed&#8221 Curtiss Model D (Curtiss photo 1196) Pusher later &#8220Headless&#8221 models incorporated elevators around the rudder in the tail (like most aircraft since). Courtesy Wikipedia. &#8220Bon Appetit: Food and Dining in the Hudson Valley,&#8221 a conference organized by the Great Estates Consortium, will be held on Saturday, March 20, 2010 beginning at 8:30 a.m. in the Henry A. Wallace Center at the Roosevelt Library and Home. Bon Appetit, which celebrates the rich history of food in the Hudson Valley, has been planned to coincide with Hudson Valley Restaurant Week 2010. This fourth annual event will take place between March 15 &#8211 28, and will showcase this scenic New York State region as a premier culinary destination. Heidi Hill, Historic Site Manager of Crailo and Schuyler Mansion State Historic Site, will open the conference by exploring 17th century food. Using Dutch genre paintings paired with archaeological evidence, Dutch documents and 17th century artifacts from New Netherland and Indian lands, the speaker will illuminate the colorful and sometimes surprising daily life of both the colonists and Native Americans through the foods they ate and their table and cook ware. Valerie Balint, Associate Curator at Olana State Historic Site will explore evolving mid-century dining tastes and trends using Olana and the daily practices of the Church family as an example. Drawing upon primary source materials from the museum’s collections Ms. Balint will focus on issues relating to emerging ideals about etiquette, domesticity and cosmopolitanism. In particular, she will examine the increased emphasis, even in middle-class homes on formalized table settings, exotic foods and elaborate floral decor. After a brief coffee break Frank Futral, Curator of Decorative Arts at the Roosevelt-Vanderbilt National Historic Sites, will explore the food customs of millionaires during the Gilded Age. 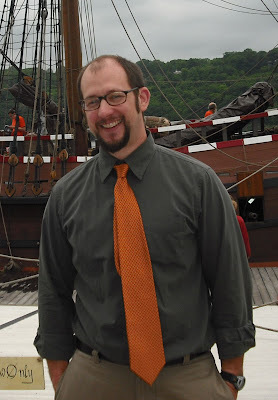 Mr. Futral will be followed by Melodye Moore, Historic Site Manager at Staatsburgh State Historic Site. Ms. Moore will explore the behind-the-scenes work of the 24 domestic servants that needed to take place in order to present a &#8220Dinner of Ceremony&#8221 in a Gilded Age mansion. The as yet unrestored servants’ quarters of Staatsburgh will illustrate where much of this work took place. Lunch will be provided by Gigi Hudson Valley and will feature local food. Laura Pensiero, RD chef/owner, Gigi Hudson Valley, will introduce the lunch and share with the participants how she uses local farm products for her business and the current state of farming in Dutchess County. Following lunch conference attendees will have the opportunity to visit participating Great Estates where they will be given an opportunity to engage in special food related tours and activities. Each site will pair with a restaurant offering visitors a Hudson Valley treat. While there is no additional cost for visits to the historic sites, participants must pre-register for the sites they expect to visit. Vanderbilt Mansion National Historic Site &#8211 Servants To Stewards tour. Guests are assigned the character of a servant and learn about their role in the running of the household. This tour requires climbing 74 stairs and is not handicap accessible. Comfortable shoes are strongly recommended. Following the tour Twist Restaurant of Hyde Park will provide attendees with a Hudson Valley treat. Staatsburgh State Historic Site &#8211 Visit the &#8220downstairs&#8221 rooms of the mansion that until recently had served as offices for the employees of the Taconic Region of the NYS Office of Parks, Recreation and Historic Preservation. These rooms, including the kitchen, the sculleries, the pastry room, the Butler’s office and the male servant’s bedrooms, will soon be restored by the Friends of Mills Mansion. Leave with a special treat that might have been enjoyed by the servants from Terrapin Restaurant of Rhinebeck, New York. Locust Grove Estate &#8211 You’ll have the chance to tour, in-depth, the kitchen, cook’s bedroom, dining room, and butler’s pantry at the historic Poughkeepsie estate. Learn more about service &#8220below stairs&#8221 in a wealthy Hudson Valley home, and how the family upstairs expected their staff to cope with day-to-day living. You’ll also step behind-the-scenes into the china room &#8211 not usually open during tours. After your tour, enjoy a special treat from Babycakes Cafe in Poughkeepsie with Locust Grove’s Director. Clermont State Historic Site &#8211 At Home with the Livingstons: A mansion tour highlighting the historic 1930s kitchen and dining room. View the cook books and secret family recipes of Alice Clarkson Livingston. Learn what quirk of Livingston dining etiquette irked the butler. Enjoy an exclusive look at the 19th century kitchen that nourished the Chancellor’s daughter, Margaret Maria and her family. Take away a scrumptious treat from Tivoli Bread and Baking in Tivoli, New York. Space is limited, and meals and refreshments are included in the conference fee, so pre-registration is strongly recommended. The $60 per person registration fee includes coffee/tea in the morning, luncheon catered by Gigi Hudson Valley and afternoon Great Estates site tours. For additional information please call (845) 889-8851. Conference attendees are encouraged to dine at fixed prices in nearby restaurants and stay in local hotels offering special rates for Restaurant Week. More information is available at www.hudsonvalleyrestaurantweek.com. For information on nearby Dutchess County restaurants go here. For information regarding lodging specials there is a pdf here. Alan Price, Professor of English at the Pennsylvania State University will offer a lecture entitled &#8220The Hudson Valley Through Edith Wharton’s French Lens&#8221 tonight (Tuesday, November 3rd) at Poughkeepsie’s Marist College. The event will begin at 7 pm in the Hudson River Valley Institute&#8216-s Henry Hudson Room. A reception with light refreshments will follow. The event is sponsored by the Marist College Honors Program, the School of Liberal Arts, and the Hudson River Valley Institute. America’s First River: The Hudson A Conference Celebrating the 400th Anniversary of Henry Hudson’s Voyage in 1609 will be held on September 25-26, 2009 at the FDR Presidential Library and Marist College. The Conference is sponsored by The Hudson River Valley Institute, the Franklin and Eleanor Roosevelt Institute, the Hudson River Valley Greenway, the Hudson River Valley National Heritage Area, the National Park Service, and the New York State Hudson-Fulton-Champlain Quadricentennial Commission.